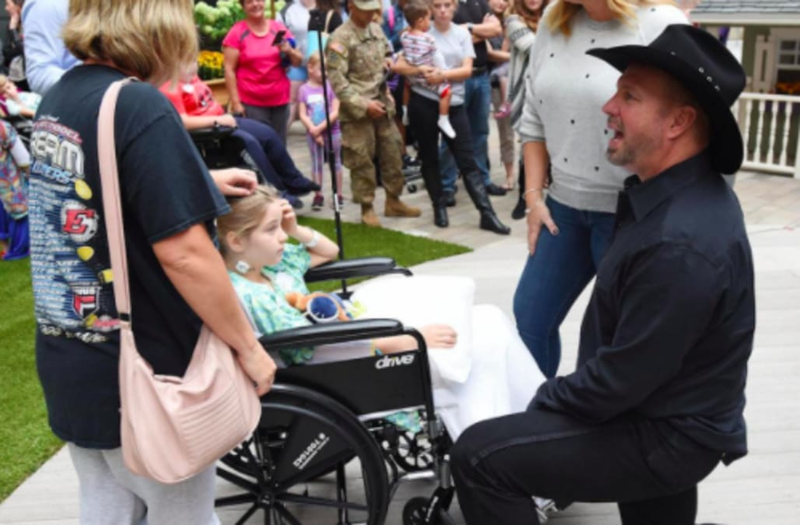 Garth Brooks is for the children. Over the weekend (Oct. 6), Brooks and his Teammates for Kids Foundation set up a state-of-the-art outdoor play space at the Riley Hospital for Children at IU Health in Indianapolis, IN. Brooks and his team were on hand for the ribbon-cutting ceremony at the Backyard, the name of the new play area. “It’s how thankful you are that your children are healthy, but if your children face that challenge, how thankful we are to have someone like Riley here for your children. We’re all very lucky,” Brooks said at the ceremony. “My promise to you, if they wear it out, we’ll get you another one,” he added about the new outdoor play area. Brooks and Teammates for Kids helped open the indoor Child Life play space at Riley Children’s Health back in 2014.